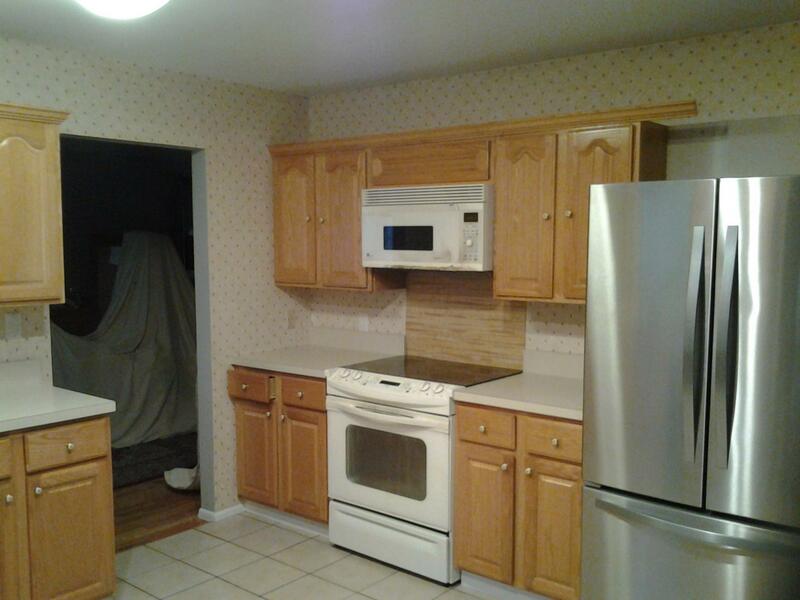 Kitchens and Baths - Silver Fox Construction, LTD.
Before pictures of a kitchen remodel. 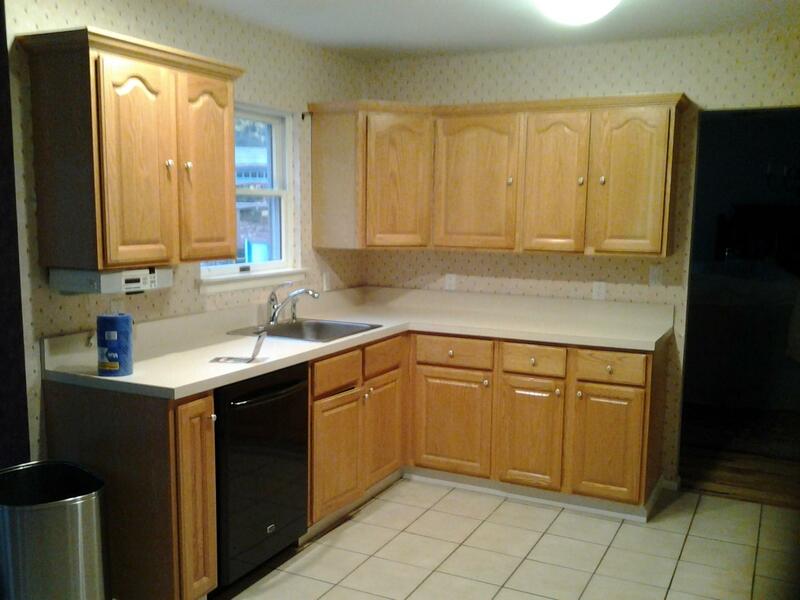 After: large peninsula was added, sink, dishwasher and cook range were moved. 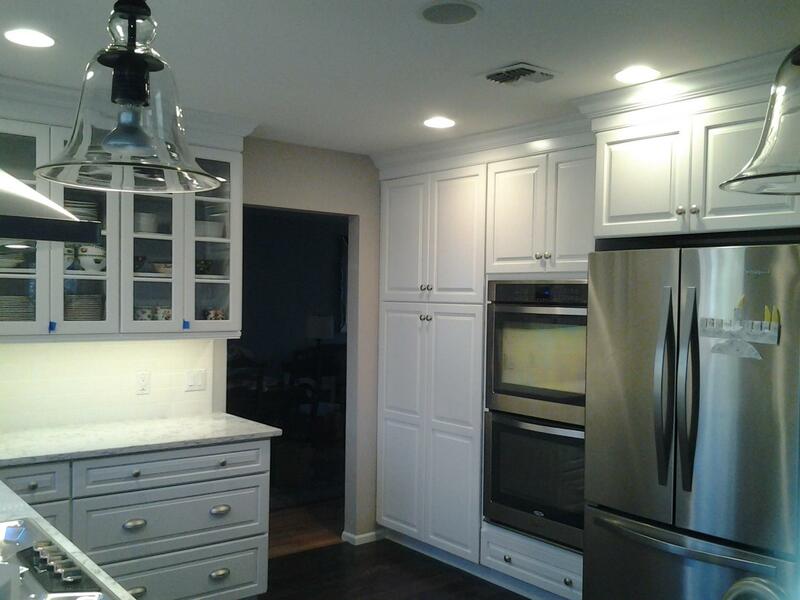 Stainless steel range hood and trash compactor were also installed. 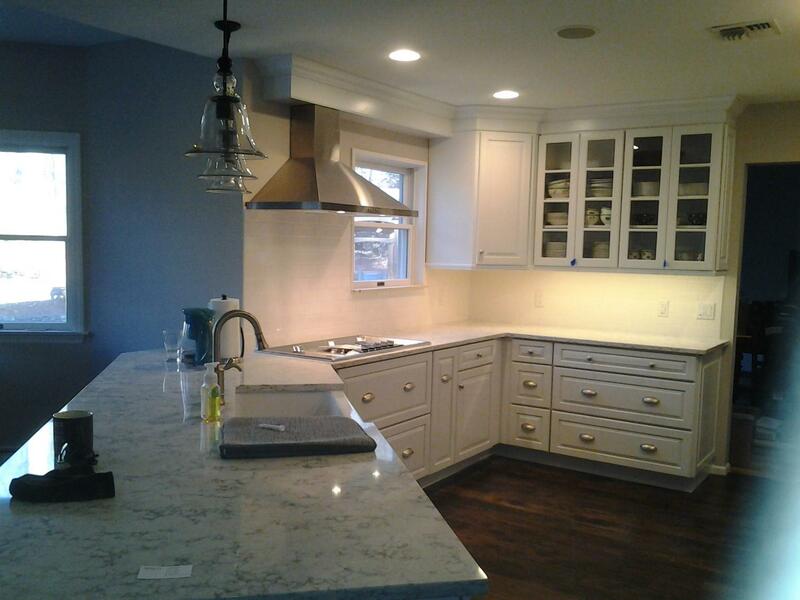 Floor to ceiling cabinets were used with double oven. 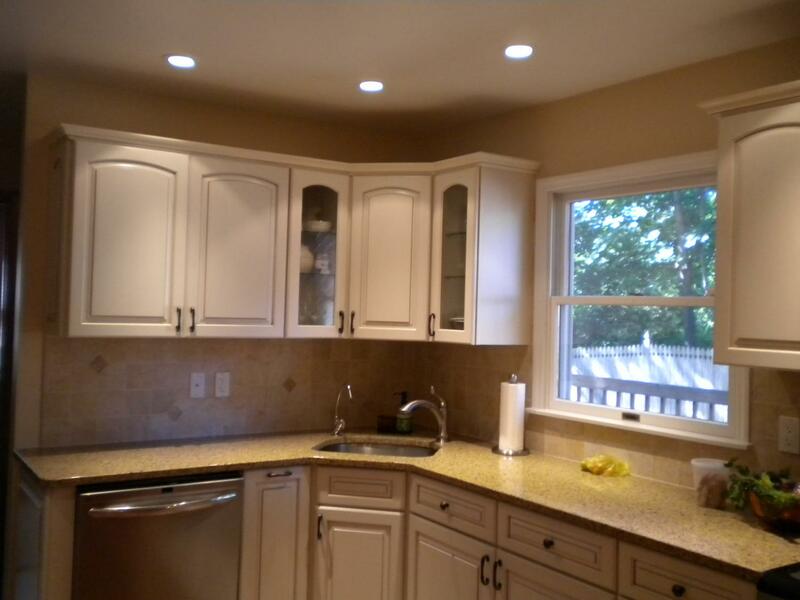 Kitchen was completed with two piece crown. 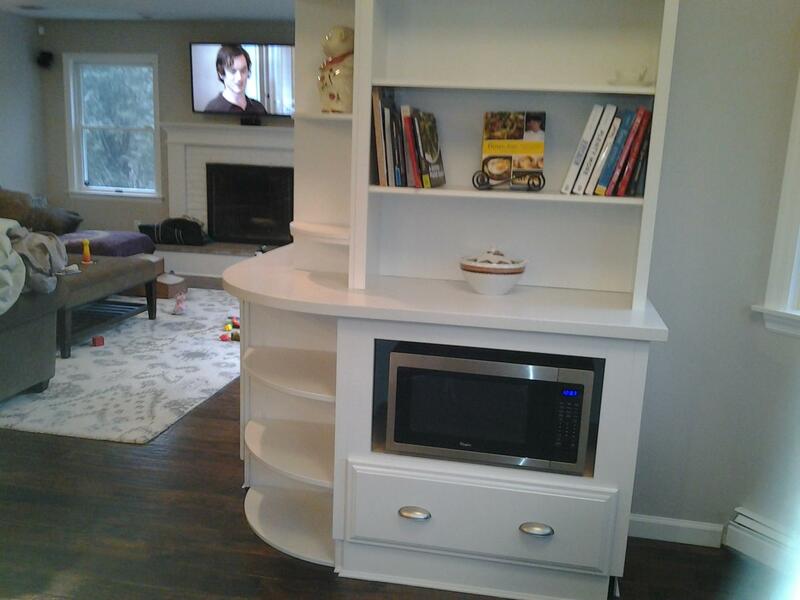 A cutom mantle and new hearth was added to the family room fire place. 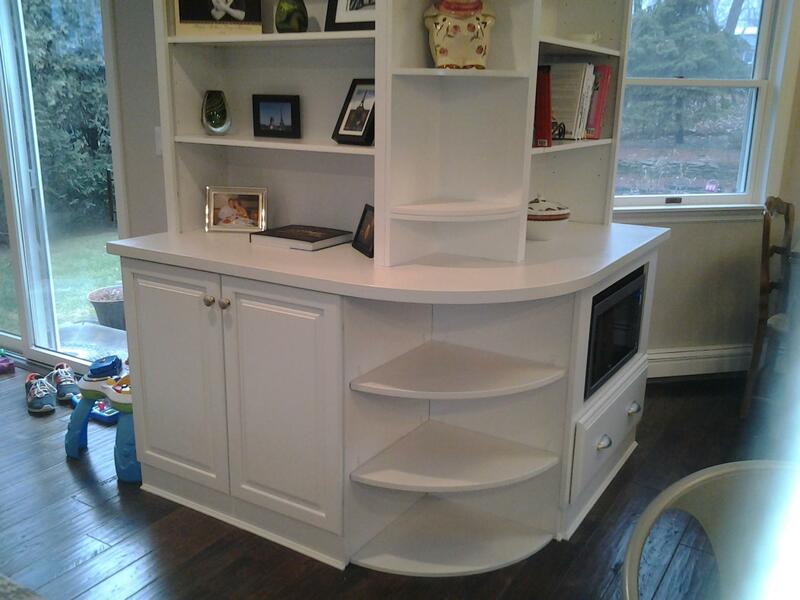 A custom book case with radius counter top and custom microwave cabinet were installed to match the kitchen and give an inviting flow between the two rooms. 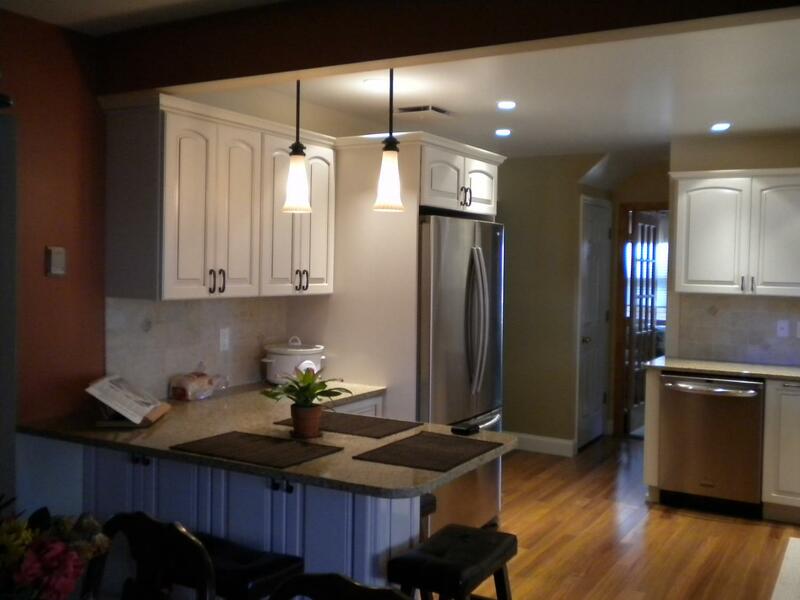 In this kitchen remodel, we removed the wall separating the kitchen and dining room. The Island seats 4-5 people. 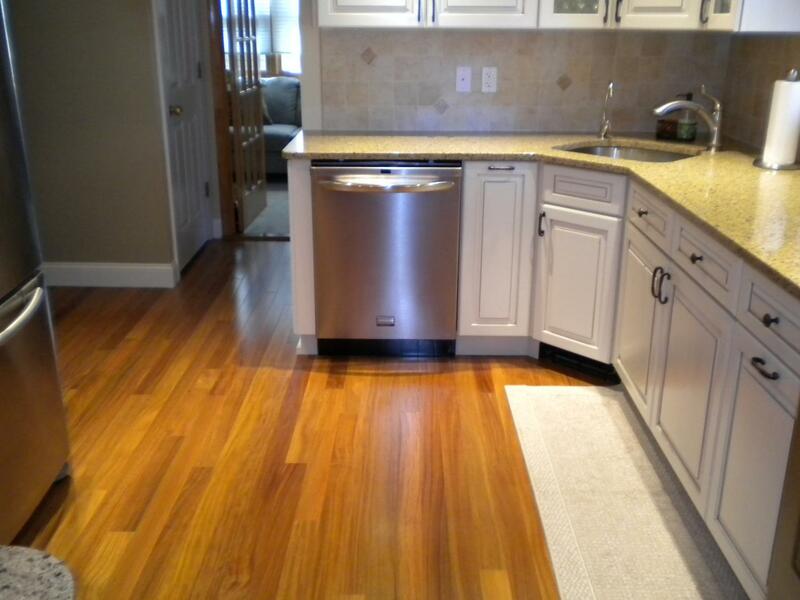 New Brazilian cherry hard wood flooring was installed and Silestone counter topers were used. 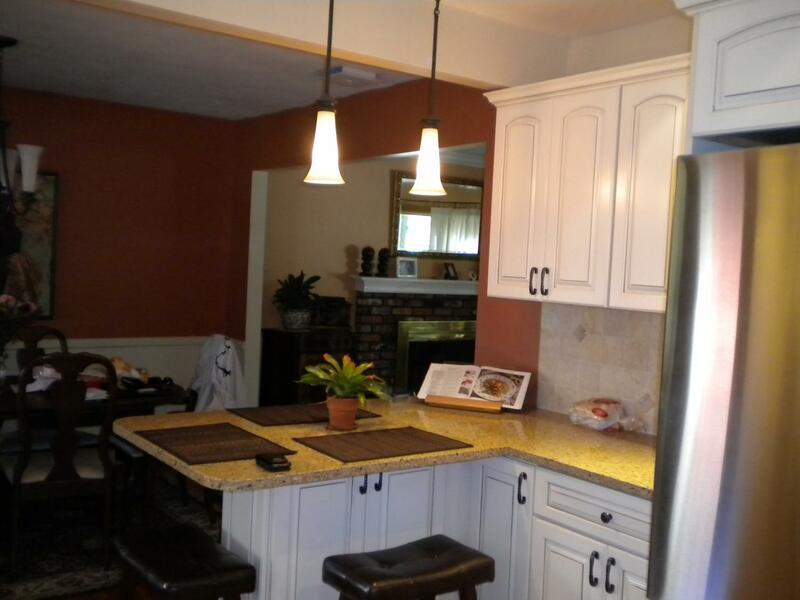 The sink was moved to the corner and a toe kick heater was installed under the sink caninet.